Fly Deal Fare Blog: Travel With Ease Know More About The Etihad Airways Baggage Allowance. Know More About The Etihad Airways Baggage Allowance. When it comes to one of the world’s most ravishing airlines, passengers do take interest in its every little and minor stuff attached to it. ETIHAD is one of such airline who shows a tremendous growth in such a small time span as the airline was introduced in the year 2003. And right now it is competing with the airlines that are in the aviation industry for years. 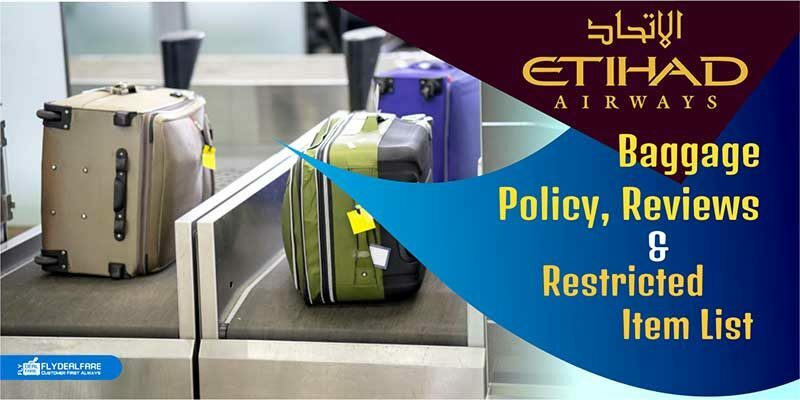 Coming to the Etihad Airways Baggage allowance, following are the major points in relation to the rules and restrictions, allowances and limits related to the checked-in, carry-on, special items, additional items and more. Passengers are allowed to carry an additional item in addition to the cabin baggage. This additional personal item can be a light purse, clutch, camera-bag, food bottles for the children, a blanket and more. As after the removal of the ban on laptops and other larger electronic items on the Etihad Airline by the US, the passenger can choose to carry this stuff either in the carry-on baggage or as a personal item and this will account as a part of cabin baggage allowance. Travel accessories such as blankets, wraps, etc. Infant carry basket, carry cot, etc. Following are the number of rules which you need to know in case you are traveling with an infant, toddler or baby on any of the Etihad flight. Children, whose age is up to two years or 24 months, are not required to have their own seat and they can easily travel on an adult’s lap. Passengers can only enjoy this facility with one lap child only per adult. In case, an adult is traveling with more than one infant under the age of two, then an additional seat will have to be purchased by the passenger for the second infant. Passengers also have the option to purchase a seat for the infant if he has the proper child restraint device. A child up to two years or 24 months is generally charged 10% of an adult fare plus the taxes (on an adult’s lap). There are a number of items on which are counted as the special items, that means these are allowed to carry but passengers holding them need to follow some special regulations. 1 Small vehicles powered by lithium batteries · Must be powered only by one single lithium battery, rating lower than 100Wh. · Must be packed individually ensuring it is protected from possible short-circuit. · Must be fit in the allowed cabin baggage limit. 2 Musical Instruments · Must be fit into the dimensions permitted as cabin baggage. · Instruments must be safely packed. 3 Sports Equipment · Can carry your sporting equipment as checked baggage. 4 Bikes · Bike must be carefully packed in a specialized protective case. I flew from Manila to Brussels via Abu Dhabi. The flight crews are more attentive and smiling in providing quality service to passengers. I had a combination flight of Business (Manila to Abu Dhabi) then Economy (Abu Dhabi to Brussels). In both flights, service was almost impeccable. There was also an impressive and much-welcomed amelioration in the lounge for Gold members who can now access more exclusive lounges: if flying from Terminal 1, it is now the one beside the Al Reem, which is much cozier than the latter and the food choices are aplenty. If flying from Terminal 3, Gold members are allowed at the Business Class Lounge. Before, I would only have access to this lounge when I flew business. Now, on economy flights, Gold members are welcomed here. The only area that still needs improvements is the ground crews in Brussels. You hardly find anyone friendly here in the past but maybe now, I probably was just unlucky to be attended by someone new. Nothing of what I requested was arranged and he was not aware of the protocol for Etihad frequent flyer members. But the one whom he consulted was already much better when he assisted, much better than the usual stuff you find in the Etihad Brussels counters. I just booked my children’s flights with Etihad for January! I traveled from Nairobi to Manchester via Abu Dhabi. The service was quite good, particularly on the NBO – AUH leg and seats were fairly comfortable. I thought the IFE was a bit limited in choice but I was still able to find something to watch. The seats on the Boeing 777 are quite tight but I was fortunate that the plane wasn’t full and I was able to have the entire row to myself. For both legs the food was OK and the cabin crew was always handing to provide assistance. Overall a satisfactory experience and I would fly with Etihad again. I flew from Abu Dhabi to Paris. The aircraft took off 5 minutes before scheduled and arrived 25 minutes before scheduled landing time. So, I got enough time for transit in Paris Charles de Gaulle airport. Very good in-flight entertainment system should be turned on from embarkation to disembarkation. In-flight meals should have been served in accordance with landing area local time, and not 1 hour after takeoff. 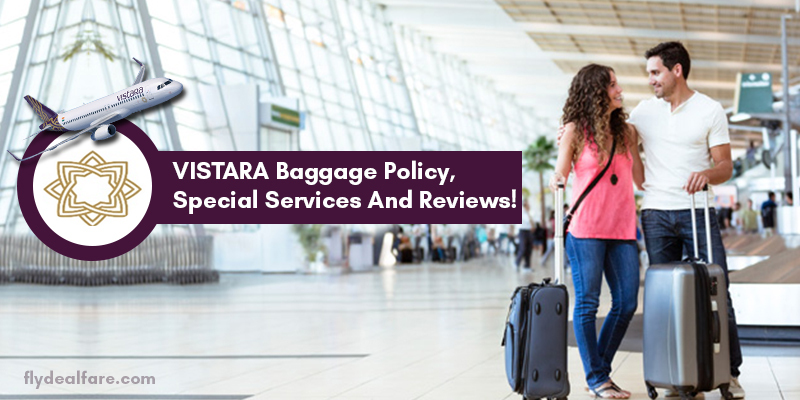 VISTARA Baggage Policy, Special Services And Reviews! ← Do You Know Why Airport Food Is So Expensive? Do you know: 7 best ways to sleep on plane seat? Do You Know: The Airline’s Secret Which THEY Don’t Want You To KNOW! Must To Follow: Do’s And Don’ts While Travelling SOLO! 10 Tips To Travel Comfortably If You Are A Nervous Flier! Do You Know: The Best Ways To Get An Airline’s Upgrade To First Class?